Basic Rigging specifies the outcomes required to perform basic rigging work associated with movement of plant and equipment, steel erection, hoists (including mast climbing hoists), placement of pre-cast concrete, safety nets and static lines, perimeter safety screens and shutters; and cantilever crane loading platforms for licensing purposes. Applicants must be at least 18 years old. NOTE: This unit has a pre-requisite requirement. This requirement may be met by either the successful completion of the unit CPCCLDG3001A Licence to perform dogging or holding a valid licence for dogging. 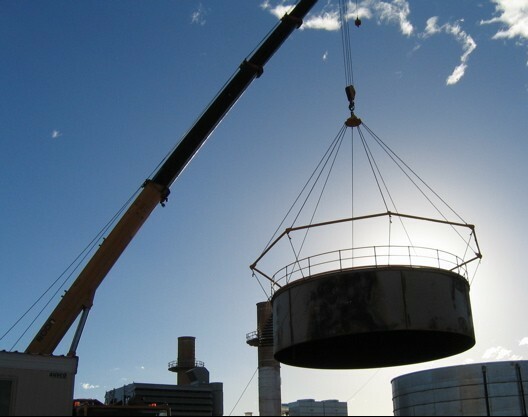 This unit specifies the outcomes required to perform basic rigging work associated with movement of plant and equipment, steel erection, hoists (including mast climbing hoists), placement of pre-cast concrete, safety nets and static lines, perimeter safety screens and shutters; and cantilever crane loading platforms for licensing purposes.